The Dubai Chamber of Commerce and Industry recently hosted a seminar at its premises which aimed to enhance local businesses’ understanding of the key advantages and process associated with using letters of credit. The event was attended by international sales professionals, shipping and logistics managers, trade finance bankers and legal advisors for international businesses, said a statement. 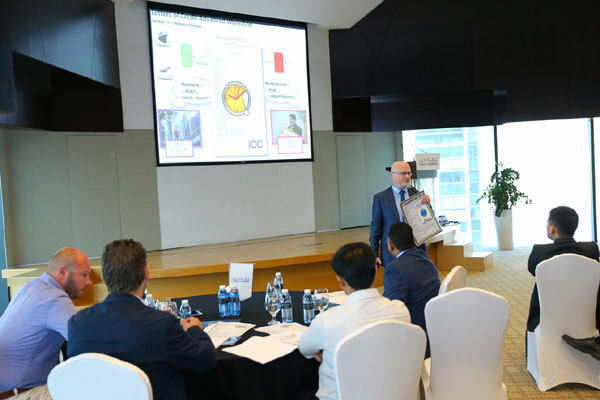 The sessions were led by Vincent O’Brien, a highly experienced practitioner of International Trade Finance, who serves as executive committee member of the ICC Banking Commission, and associate director of the US-based Institute of International Banking Law and Practice (IIBlP), it said. During the event, O’Brien shared guidelines for businesses on using letters of credit to ensure timely and secure payments, while he also provided valuable insights on some of the most commonly used letters of credit. Given the challenges associated with high default rates under international commercial contracts, O’Brien highlighted the importance of using letters of credit to agree on terms and conditions of international trade transactions. “The key benefit of the letters of credit is that it ties all the terms and conditions that trigger the release of the payment into one instrument,” said O’Brien, adding that the seminar provided several practical cases and examples to explain the key functions of these letters. “The seminar showed participants how to structure letters of credit transactions and how to apply the international letters of credit rules which are known as Uniform Customs & Practice for Documentary Credits (UCP 600) issued by the International Chamber of Commerce,” he added. Jehad Kazim, director of Dubai Chamber’s Legal Services Department, noted that the strong turnout at the seminar reflected a keenness among businesses in Dubai to explore the benefits that letters of credit offer as trade instruments which reduce risks and guarantee timely payments between buyers and sellers. She added that the seminar provided participants with practical advice, tools and templates that can be used to draft various types of letters of credit in line with best international practices and standards. Dubai Chamber regularly organises training seminars and workshops to raise awareness about key business trends and laws impacting the emirate’s private sector.